With support of latest IEEE802.11n and IEEE802.11b/g WLAN standards you can be sure, that full LTE CAT4 potential can be realized: no bottlenecks from LTE to WiFi. 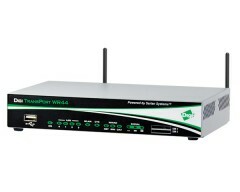 Connect multiple devices, watch movies, video streams, or connect to remote surveillance equipment with ease. RUT850 can be used either in light vehicles or busses, trucks and other heavy transport, which utilizes 24V battery. This is achieved by wide input voltage range and voltage surge protection – no need for additional surge protection equipment. Power supply socket connector has an Ignition digital input, which controls router’s sleep mode status. Set up your internet connectivity and be ready to go in minutes with just a few clicks from your smartphone. Manage and monitor router’s performance without physically connecting to the device.